Technically known as chroma-keying, green screening is the process of masking a video using color – removing specific parts so you can overlay one video on top of another. An obvious example is the weather, where a presenter will stand in front of what appears to be a giant map – in fact, they’re standing in front of a green screen and the weather map is being added later. All you really need to get started is some video footage of yourself with a green, or blue, background. In fact, any color can theoretically be used, but since green rarely occurs on the human body or clothing and offers a good contrast, it’s the most commonly used. Today I want to show you how to do green screening in iMovie, and Adobe Premiere. It’s actually really easy, but something a little unique to consider for your next video project. You might also want to check out these 4 creative projects to do on your Mac 4 Creative Projects To Do On Your Mac [OSX] 4 Creative Projects To Do On Your Mac [OSX] With summer still way off and spring only just poking its head out, there's still time to get some creative juices flowing while stuck in front of your computer. If you still haven't done anything... Read More , as well as how to make a basic music video How To Create Your Own Basic Music Video How To Create Your Own Basic Music Video There are lots of musical artists waiting to shine, but you are forced to have some form of video to accompany your music. Thankfully, it's not hard to make your own online video content. 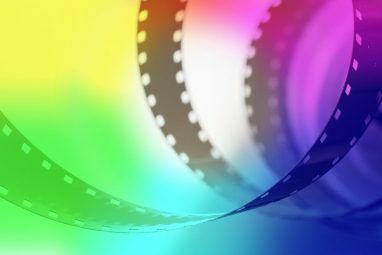 Read More and our guide to adding film effect to video How To Achieve The Film Effect In Video With Color Correction How To Achieve The Film Effect In Video With Color Correction However, there's a current trend today with video in which shadows tend to have deep blue look and highlights have a warmer, yellowish-red hue added. For those of you who are video hobbyists with a... Read More . You are of course going to need a green screen of some kind. 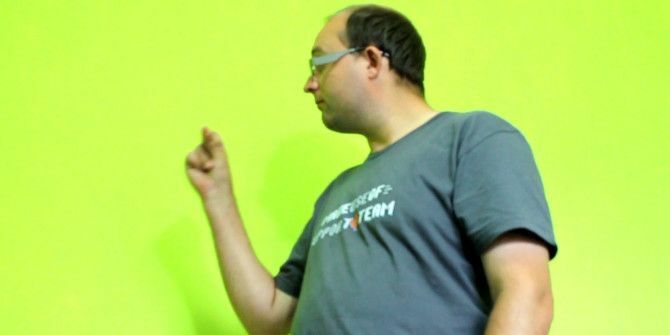 I happen to have to have repainted my office walls a bright lime green which works reasonably well for chroma-keying – I can’t film my full body, since the carpet isn’t green, but for most purposes it’s more than sufficient. If you don’t want to repaint your walls, you can buy sheets of cloth specifically made for the purpose, but these can be pretty expensive. This guy avoided painting his walls by buying a bit of MDF. The key to successful chroma-keying is having a consistent background – that means uniform colour, with uniform lighting. Use diffusers at the sides and front to remove shadows and make sure your subject is well lit. My office lighting in the demos below are pretty atrocious – you can see shadows when I move my arms, for instance. . Filming with a good camera is also going to help, but there’s no reason you can’t record your green screen video on an iPhone, really (in fact, there’s an app for that [No Longer Available], but don’t expect decent results). For the demonstration today, I’m using a bit of stock footage from Vimeo user Phil Fried, with my own green screen footage overlaid on top. A free, but somewhat inferior solution – the process in iMovie is entirely automated with little room for adjustments. To enable green screen, you’ll need to first activate Show Advanced Tools from the iMovie > Preferences menu. 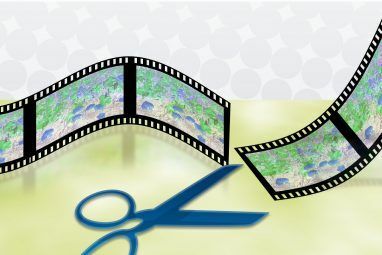 Start by importing your regular background clip to the video sequence. I’ve added a short sequence of the green screen as well so you can see the footage without the effect applied first. Then locate your green screen footage, and drag it onto the timeline over the footage you wish to use as the back drop. Once the green “+” symbol appears, let go and select “green screen”. Easy, huh? You should end up with one clip on top of another, like this. You can drag it around if the timing is wrong. The results aren’t bad, though it’s making me a little transparent at times. To use Adobe’s premium video editing suite, start by adding your two sequences to the timeline in the appropriate timings. Your green screen footage should be in video channel 2, with the background on channel 1. Add an Auto-contrast effect to your green screen video to enhance the background separation (type it into the effect browser to save searching around for it); use a Crop effect if your green screen doesn’t cover the entirety of your background. 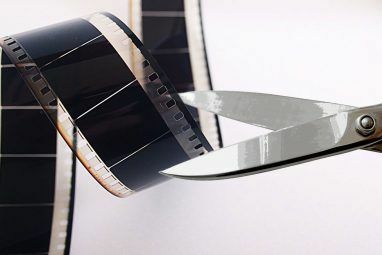 Use the razor tool (shortcut key C) to split the clip if you need to – in this case I split at the moment of clicking my fingers, so that the Chroma key wouldn’t be applied to first part of the video. Finally, add an Ultra-key effect – this is where the magic happens – and open up the effects controls in the top left. Use the eye-dropper to select your background color. If the effect isn’t good enough, try increasing the Pedestal value found under Matte Generation. The results aren’t bad for 10 minutes work. iMovie definitely has the edge in ease of creation, while Premiere gives you fine control for a more professional output. Either way, green screen is a fun technique to try out, so let’s see what you can come up with. Share your own glorious creations in the comments, and next week I’ll show you how to achieve the green screen effect on a live broadcast! Have you used a green screen before? Did you find this guide useful? Add your thoughts in the comments below! Very helpful and easy to understand. Fairly easy to do using your approach. I tried to figure this out a couple few times in Premiere in the past, many times with pretty bad results and sadly even worse results. Thanks for the insight. I shall use it for strangeness.